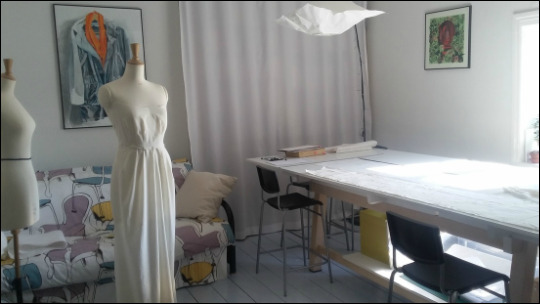 Atelier Classes, Courses and Workshops take place in my light, airy, spacious studio which is very well equipped with an industrial sewing machine, a domestic sewing machine, two overlockers, two dress stands, and an industrial steam press. See the photos and videos below, and the drop down menu (above) for details of all courses, classes and workshops. The BIG pattern cutting table! ​For all the testimonials of my classes​, please see here. Classes run all year, and gift vouchers are available....all classes can be one to one, or groups.